In April of 2006, Kaavya Viswanathan, a new author and a Freshman at Harvard at the time, found herself at the heart of a plagiarism scandal. Viswanathan had just published the book How Opal Mehta Got Kissed, Got Wild, and Got a Life to rave reviews when The Harvard Crimson, the school newspaper at Harvard, noticed similarities in passages between the book and previous works by author Megan F. McCafferty. Evidence quickly compounded her publisher, Little Brown & Root, eventually revoked her contract, forcing her to repay a $500,000 advance and yanked the book off the shelf. In the end, Viswanathan’s publishing career was over. Though she’s gone on to study law and begin carving out a career in the legal field, no publisher would touch her work. In that regard, Viswanathan seems like the textbook example for how book publishers handle plagiarism. Plagiarism is one of the cardinal sins any author can make. Serious and or repeated plagiarism can and should lead to an author being unable to find work, at least for an extended period of time. However, in recent years, Viswanathan has become more the exception than the rule. When a reviewer noticed a half dozen plagiarized passages in Jane Goodall’s book Seeds of Hope, the book’s publisher, Grand Central Publishing, didn’t pull the work but held it up for a year to give Goodall the chance to fix it. This despite the fact that much of the plagiarism, in what was supposed to be a book about science, was from questionable sources such as Wikipedia and sites about astrology. Also in 2013 Jonah Lehrer, the former science journalist and author whose career was dashed due to the discovery of widespread plagiarism, fabrication and other ethical missteps in his work, not only received a $20,000 honorarium for speaking to a Knight Foundation event, but scored a new book contract with Simon & Schuster for his upcoming book The Book of Love, despite apparent plagiarism in the book’s proposal. Finally, also in 2013, Pastor Mark Driscoll was embroiled in a plagiarism scandal in his book A Call to Resurgence. Evidence was later provided of plagiarism in other, earlier, work of his and there were even allegations that Driscoll used his prominence to pressure some of his accusers into backing down. To this day, despite rumors to the contrary, his publisher, Tyndale, stands by him, this is even after another scandal saw his church admit to buying thousands of copies of Driscoll’s first book to make it a best seller. In these cases, the ethical violations run the gamut including plagiarism, fabrication, falsifying sales figures and more. Yet all of these authors remain employed with book deals, speaking engagements and more. This raises an interesting question: What does it take for an author to get blacklisted from the industry? It isn’t a simple question and it’s one that seems to be getting murkier by the day. While it might be easy to say that the above scandals are all isolated incidents and that most publishers do respond strongly to such infractions. While that may be the case, it isn’t true with major scandals. While relatively unknown authors can have their careers tanked by plagiarism or other ethical missteps, those that are the subject of major scandals, no matter how large or egregious, seem to be guaranteed a soft landing. Take, for example, James Frey. In 2006 he was found to have fabricated much of his best-selling autobiography A Million Little Pieces. The case not only became the subject of a public scorning on the Oprah Winfrey Show, who had previously featured the book, but of a class action lawsuit for those who felt misled in buying the book. However, just one year later, Frey had a lucrative new book deal with HaperCollins and has gone on to continue publishing and writing, including having one of his books turned into a feature film by Dreamworks. Even well-known plagiarism and fabricator Jayson Blair was offered a lucrative book deal mere months after being fired from The New York Times. It seems, to the public at least, that if a person can sell books they’re going to get a publishing contract, regardless of what ethical missteps they made on the way to becoming famous. The problem with this perception is not just that it makes it appear that one can plagiarize and fabricate their way to a prominent career as an author, but that it’s the easiest way. 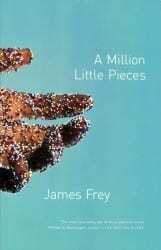 Before A Million Little Pieces, James Frey worked as a screenwriter. The book made him a household name and launched his career as an author. One of the reasons it was so popular was because of the amazing stories it told and the fact that it was autobiography. Without his fabrication it’s unlikely Frey would be the author he is today. Likewise, Driscoll and Lehrer both built much of their careers on ethical missteps. Driscoll’s buying of books landed him on the New York Times Bestseller list and helped him snag his larger publishing deal. Examples of plagiarism and fabrication can be found through all of Lehrer’s work, going back to his earlier pieces. To an aspiring or struggling author, this can seem like an opportunity. If you plagiarize or fabricate well enough to get past editors and move some books, even if you are caught later, after a break of about a year, or even less, you’ll be welcomed back and can continue being successful. In short, if there’s no effective penalty for cheating your way to popularity, there’s no penalty for giving it a shot. This is only going to encourage more authors to try the route of Lehrer, Frey and others. If Frey can make his name on the back of a fabricated autobiography, why can’t another unknown author? If Lehrer can fabricate and plagiarize his way to success in science writing, why can’t another aspiring college student? Opening the door to those who have committed major ethical failings in the publishing industry is not just failing to discourage those acts, it’s actively encouraging them and virtually ensuring that more authors will try them. The publishing industry has a clear problem of welcoming back known liars, cheats and plagiarists. To be clear, these aren’t just any ethical violations, but ethical violations against the publishing industry itself. Authors who commit these crimes not only harm themselves and their works, but the book publishing industry at large. After all, book publishing, like any art, is a field built on trust. The audience, authors, editors and publishers all have to be able to trust one another for the system to work, once that system breaks down, it has to either change or wilt away. If book publishers want to hang onto their roles in society, much like newspapers and other bastions of “mainstream” journalism, it’s going to require that your brand and reputation be second to none. Giving lucrative publishing contracts to known liars and plagiarists because they can sell books doesn’t improve that relationship or that trust. It may work and it may be successful, but it trades short term profits for a long-term erosion of trust and the ongoing problem of more people trying to cheat the system. In the end though, the responsibility also has to fall on consumers. When almost no one bought Jayson Blair’s book, Burning Down my Masters’ House, there was no second book deal coming. If consumers don’t keep opening their wallets to known plagiarists then publishers will stop throwing book deals at them. But even if consumers do keep buying the books, does it really behoove publishers to keep offering them deals? No. In the long run especially, these authors are a bad deal for the publishing industry, especially considering the countless talented authors out there who are willing to do the work and produce great books legitimately. The public’s thirst for great books can be satiated without turning to plagiarists, fabricators and liars and it should be.